Many women are able to determine pregnancy in themselves without the aid of a health worker, physician, or any chemical tests for pregnancy. Even women who are quite sure often visit a clinic or physician for confirmation, but it is not uncommon for women to feel that the test is only a formality since they are certain that they are pregnant. Diagnosis of pregnancy is, after all, nothing more than a conclusion based on taking note of a woman's history and any physical sign and changes she has, sometimes with the aid of a chemical pregnancy test. Traditionally, physicians rely on objective measurements such as feeling the size of the uterus, using chemical pregnancy tests or listening to the fetal heartbeat. Brigitte Jordan, in an article entitled "The Self-Diagnosis of Early Pregnancy: An Investigation of Lay Competence," (1) has documented the value of women using subjective signs to determine pregnancy. Out of 28 women in Jordan's study, none of whom had any objective (medically acceptable) evidence that they were pregnant, nearly one-half knew they were pregnant before they had missed a period and 44% were convinced that they were pregnant before the time when a commonly used urine pregnancy test would have been accurate. All were correct except one woman who turned out to be getting injections of human chorionic gonadotropin (hCG) for weight reduction and had feelings of pregnancy from the drug. Jordan believes, "It can be concluded that the women in this sample were able to make a diagnosis of pregnancy earlier and with greater accuracy than is possible in a physician's office." Making a determination of pregnancy can be more or less difficult, depending on whether a woman has any changes in how she feels of the way her body looks; or whether or not she has been pregnant before; or whether or not she menstruates regularly. The likelihood of pregnancy depends on at what point in a woman's cycle she was exposed to sperm and whether or not she was using birth control at the times. Some women notice subjective signs within a short time after becoming pregnant. These signs are extremely valuable in determining pregnancy, both for the woman herself, and for her health worker or physician. The signs are many and varied and a woman may have all, some or none of them. Health workers have reported that the most common signs experienced by women in early pregnancy are breast tenderness, nausea, and fatigue. Other subjective signs of pregnancy described by women include breast enlargement, frequent urination, weight gain, sensitivity to certain tastes or odors, and cravings for or ability to eat only certain foods. Also, some women have noticed changes in their appetites, finding that they eat more or less food than usual. Looking back, the first sign of pregnancy I had was when I fainted at the office. I attributed the fainting to not having eaten breakfast and then eating a sweet pastry and drinking coffee. Later I noticed I gagged if I walked into a room where someone was drinking coffee. I spent a Sunday making vichyssoise and when I brought it to the table and lifted my spoon out of the bowl, I had to leave. At this point I knew none of this was psychological. My breasts, which are quite small, grew more than I ever thought possible. So it was no surprise when I didn't get my period on schedule. 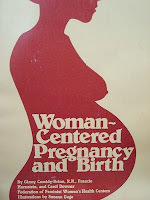 I estimate that I started getting signs of pregnancy about a week to ten days after getting pregnant.